If for some reason you love the design of the Apple Watch but hate the fact that it’s stuffed full of electronics, your prayers have been answered. The Alp Watch is a purely mechanical time piece cheekily designed to look just like the smartwatch—but it’ll cost you. The tongue-in-cheek promotional video from Luxury watchmaker H. Moser & Cie is shot just like an Apple ad, boasting of 200 years of R&D, no future upgrades being required, and a unique power source that simply requires a turn of the crown. Perhaps most importantly, there’s only one application: no phone, no messaging, no heartbeat, just... time. Yes, it’s a silly gimmick, from the name to the video, but you really can buy one if you have the money to spare. 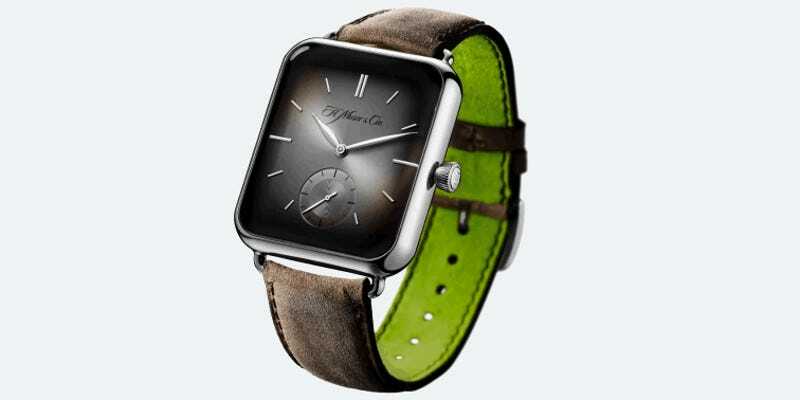 Moser & Cie is producing just 50 of the watches, and they’ll cost $25,000 a pop—more than the 18-karat gold Apple Watch. But at least it’ll never become obsolete, eh?